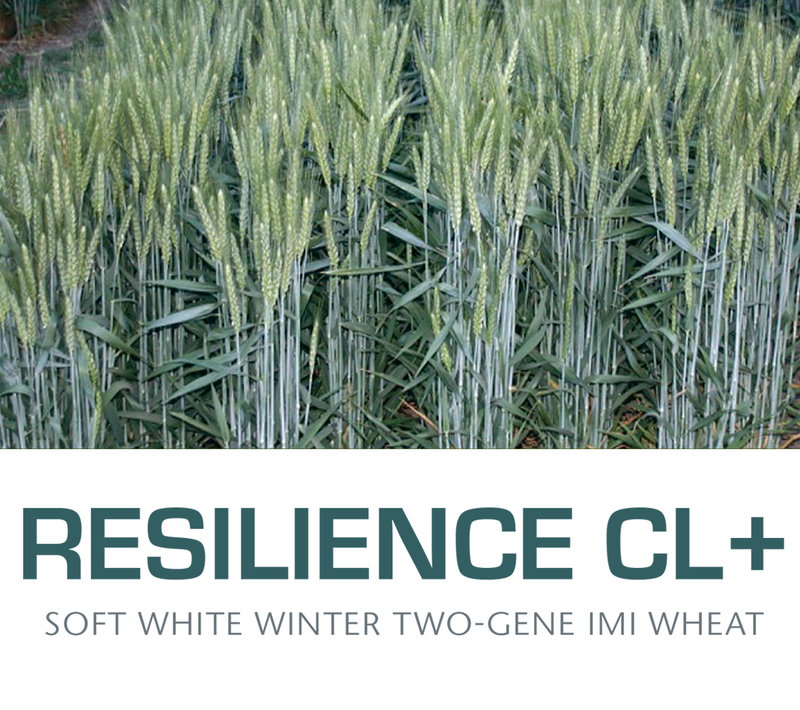 Resilience CL+ is a soft white common winter two-gene Imidazolinone tolerant (ClearfieldTM) wheat variety developed and released in 2016 by the Agricultural Research Center of Washington State University. Compared to the single-gene, the two-gene technology provides significantly better tolerance to Imidazolinone group of herbicide imazamox. Resilience CL+ was developed using marker-assisted background selection approach. Compared to popular wheat varieties including that with ClearfieldTM technology, Resilience CL+ has higher yield potential, excellent stripe rust resistance and foot rot (eye spot) resistance. Resilience CL+ is ideal for high-rain fall regions of the Pacific Northwest where ORCF102 and SY Ovation are currently grown.